The Israeli Knesset approved, on Monday night, the “Breaking The Silence” bill, granting the Minister of Education the power to prevent peace activists from the organization “Breaking the Silence” from entering schools, or to talking to students about their organization. The Maan News Agency quoted Breaking The Silence as stating that Israel is now taking action to silence the activists, after using other means to try to stop them from speaking out against the Israeli occupation and its illegal practices. The new Israeli law, although naming Breaking The Silence, is also meant to prevent any organization or group that opposes the Israeli military occupation of Palestine from entering schools and talking to the students. The group said that Bennet wants to present only his agenda to students in Israel. Bennet’s curricula include justification for the killing of Palestinian children, while at the same time refusing any eviction of colonialist Israeli settlers from the occupied West Bank. 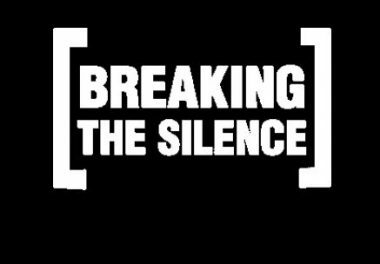 Breaking the Silence is a group made up of former Israeli soldiers who served in the Occupied Palestinian Territories of the West Bank and Gaza, but felt remorse for their actions and the atrocities they witnessed or participated in. These former soldiers share their personal accounts of what they experienced, including stories of being ordered to brutalize children, terrorize families, and shoot unarmed civilians. The main purpose of the group is to share the accounts of these soldiers to show the reality of the Israeli military occupation of Palestinian land to an Israeli public that has hidden this reality behind a Wall.